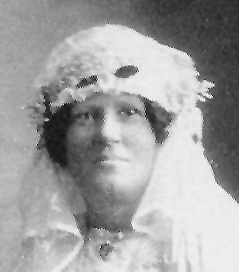 Rita, married Edwin James McEvoy, son of Edwin Robert Joseph McEvoy and Alice Gallah Barrett. 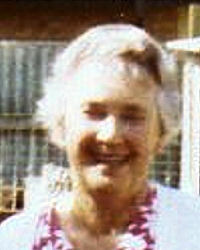 Mrs. R. Adkins, widow of Mr. Norman Adkins, returned this morning after an absence of three and a half years spent at Cungena, west coast of South Australia. She has large property interests here, and intends to once again take up her residence in the city. 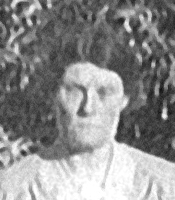 Mrs. Adkins, after leaving, intended to remain on the west coast, but the death of her father, Mr. Joseph McEvoy, a farmer of Kildalton, Cungena, altered her plans. She made the trip from Streaky Bay to Adelaide by boat and intended to come on here by 'plane, but owing to the boat being delayed by bad weather she travelled by train. Mrs. Adkins travelled on the Yandera, and the sea was so rough that the boat sheltered for a day and a half at Flinders Island. It was intended to load wool there, but owing to the rough sea the wool had to be left behind. A horse was put ashore, the animal swimming the last quarter of a mile. This was the second horse taken on ship for Mr. Willie Bascombe of the island. He and his family are the sole occupants. The famous Junkers 'plane, Mount Wedge, which was on the Broken Hill Adelaide run, and was piloted by Mr. J. A. Mollison, was named after Mr. Bascombe's father's station out of Elliston. 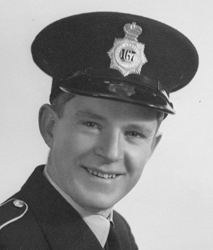 Ronald Robert McEvoy was born in March 1929, son of Alexander Dennis McEvoy and Myrtle Cicely North. Ronald and Jean were divorced.